Do you get stressed and overwhelmed by goals that you lose sight of the big picture? It is common today. 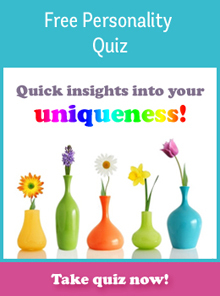 If so, the ‘Evolving Essences’ goal setting tool might bring you relief and clarity. It’s quite simple. Rather than focusing on the tasks and materials you need to reach a goal, you identity with what you can inwardly create – the inner qualities, states and essences. We tend to be more motivated when there’s light at the end of the tunnel and a clear path to get there. A path that is not someone else’s, but yours. A goal that is not just one big step but a growth path that is bigger than the little irritants and distractions of life. A path that is about YOU and not others and things outside of your control. Evolving Essences is a simple process that encourages more thinking, feeling, reflection and intuition. There is a meaningful movement, a progression, an empowering path, creative choices, insightful ideas along the way that opens up more doors. It’s a dynamic attraction and creation process that is playing a bigger game than a goal fixed in stone we focus on. Some logical, disciplined personality styles love the fixation of SMART goals (Specific, Measurable, Action, Relevant, Time-oriented). But that doesn’t work for everyone. Instead bring into play higher guidance, creativity, imagination and a feeling sense instead of forced steps. This ‘evolving essences’ tool is a one-word planning progression that helps you keep your focus over the longer term, even through choppy unpredictable waters. To use this tool, choose a focus for consideration. It can be a broad one like life, a relationship, career, health, money, spirituality, values, service, etc. It can be about an idea, concept, a specific problem or conflict, etc. Ask “Where am I in the movement of …” and write down where you have been, where you are now and ultimate ideal you wish to experience. Allow the 3 perspectives – past, present and future – to sit in your consciousness. Trust your mind to make its inner connections. Write down stepping stones to get to your destination. I was locked into a busy cycle. I knew I had to create some space which would bring some inner calmness so I could make better decisions around my business. So below are the big picture evolving essences that I allowed to evolve. Bring to mind a lofty goal or quality you aspire to and the stepping stones you have to take to reach your goal. As you do this there is more FLOW, creativity and a feel for your journey. Bring to mind the essence of each of these steps. See how the inner essences evolve over time to bring your bigger picture to life. Create evolving essences that would lead you to unconditional love, integrity, truth, goodness, beauty, power, authenticity, etc. This process helps us align and connect more with inner distinctions and perspectives. It helps broaden our understanding of the scope of what is or has been and what is possible. Seeing your situation from this larger perspective can shift your consciousness, commitment level and ability to create. You always shift your consciousness when you integrate new relationships and perspectives into a higher, more inclusive concept. TIPS – Make your essences only about YOU, not about others and forms. You are more in control of your inner being and thinking. Work in the realm of essences and let the universe sort out the HOW. Get the universe working for you. Experience and Enjoy your Evolving Essence journeys. Email me and let me know your experience. The pendulum swings deeper and then higher. What are the main needs of our members and readers? What is our next service offering? 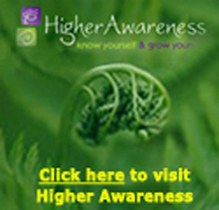 My next, new Higher Awareness focus and offerings! What worked in the past is not working today. the monkey mind’s cage expands. We need new WAYS for these new TIMES. to keep up with fast changing times. to handle our new changing times. create NEW PLANS using NEW WAYS. in our new flagship program. – plus/minus a few words. This is your EGO (captain) speaking! “Do this… I am the greatest. I want more… It’s their fault. How to use these EGO pages. of ways you sabotage yourself. ongoing Ego Healing Hot List. peace of mind and freedom. Feel trapped, suffering, victimized, lack? Often hitting your panic button? 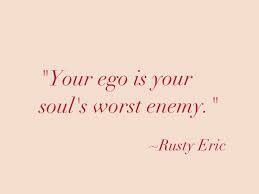 Then you are stuck in the ego trap. wants more of everything – here and now. need your attention and healing. but always for self-centred motives. self-sabotaging ego patterns and behaviours? Now you are ready to part 2. We are all on a consciousness journey that progresses through life from ‘me to we to thee’, from ‘co-dependence to independence to interdependence’. First we build a strong confident self initiated by ego’s persistent self-centeredness. Then a major growth shift occurs to be more ‘other and group conscious’. 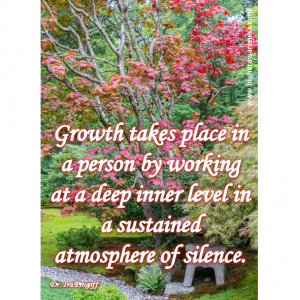 Through relating with others we greatly accelerate our growth. Then we shift again and become more spirit, wholeness, humanity and planetary (environmental) focused. Have you noticed any of these shifts in your life? One of the most powerful energies to create and leverage is group energy. Group energy is more expansive and inclusive, a greater reality and a new quality of being compared to self consciousness. Group work is more powerful than most people realize. It adds in new dimensions of energy, synergy, sharing, giving, support, accountability, responsibility, empathy, compassion, cooperation, collaboration, compromise, celebration and more. Treasure your closest contacts that support your growth and belonging as these people, friends, family, clients and connections are vital to your livelihood and growth. Because every encounter/connection is a spiritual one. You have attracted them into your life for a reason. So open up to it and learn from it. Some people naturally are very interpersonal, connective, compassionate, healing, supportive and intuitive with others as they tap into this energy. To do this you consciously or unconsciously and naturally connect soul to soul. And as 2 or more people connect, there is a group soul or third mind that is created. Many people experience this when they fall in love or are absolute best of friends or are 100% committed to supporting others or are involved in an intentional, connective community. They sense there is something bigger than just themselves. Become an instrument of transformation for others. That is one of our fundamental purposes. As you give you keep a copy for yourself. BIGness needs others. As we connect with this love and attraction type energy, there is a sense we are coming home to our real and whole selves. Some of my most empowering, life changing and healing experiences have occurred through the power of groups. And the best place to develop new group skills is with intentional, supportive, synergistic, accountable, like-minded individuals. In the early 1990’s a group of 5 of us created a powerful mastermind group that created miracles beyond our dreams by subjectively supporting each other and working with group energy. I believe strongly that what makes masterminds work is when an individual projects, affirms, attunes, prays or envisions ‘for others’. When I envision my goals, the subconscious mind works 24/7 transmitting and attracting to me its predominate thoughts and feelings and who we are. But we often do not even know who we are. We are also transmitting 24/7 our own stuff, worthiness, expectations, limiting beliefs, and old unconscious conditioning, etc., that go out with our goals, requests or visions. We manifest who we ARE, not what we wish. BUT when a supportive group can envision clearly your request for you it is WITHOUT your baggage, limits and unconscious stuff. This is the greatest power of master minding. You will be surprised how this subjective support is not just additive, but multiplicative and exponentially effective. In group you experience higher laws and principles, the greater good, more initiative and pro-activeness, more intuition, more inclusiveness, and higher realms of power where life itself can manifest through us for the benefit of the whole. Open to new perspectives, insights, solutions, synchronicities, support, love and inspiration. Open to others shedding light on your questions, challenges and confusion. Become an instrument of transformation and miracle for others. Watch yourself gradually and naturally shift to higher values, principles, vision, greater good and more humanity concerns. In group you receive more sincere, heart-felt feedback faster. As you connect on higher principles and motives you will see more diversity in wholeness and how you fit in. You will more naturally and more effectively work on collective group shadows and the needs of humanity. As a group comes together with higher motives, they remain more humble through being in right relationship to the whole. By ignoring the lesser selves, the higher selves address each other directly and from bigger, more inclusive perspectives. The conscious presence of the self participates in an ever expanding energy field, which more easily brings occurrences into harmony with a sense of peace to all who experience it. Let there never again be a question unanswered, opportunity missed, wrong choices made or a lack of compassionate and empowering responses. We transcend ego towards more soul and group identity. We see our ego’s shadows clearer from a group and higher perspective. Group work is an obvious and easier doorway for intuition to work through you. One of the strongest bonds is a common objective expressed in collective activities, serving fellow human beings. To the degree group consciousness rises – creativity, responsibility and accountability rises and leads to one humanity. We tend to embrace and carry a higher vision and become aware of a bigger evolutionary plan of life. We experience more inclusiveness, express newer ideas, enhance intuitive abilities and are more at cause. It is easier to embrace, discuss, brainstorm and carry a vision. Group work diminishes the feeling of being alone. Just knowing that someone will always be there to listen to you will already decrease the feeling of being alone especially during your trying times. One of the most common reasons why people go through depression is because they have no one else to talk with regarding their issues. Support groups are there to listen and help you no matter how small or big your problem may be. You acquire new ways of coping with issues. In a support group, when one asks for help on how to resolve a particular issue most of the members of the group go back to how they coped with that issue when they experienced it. By gaining insight to how people cope with problems and how it worked for them, you then acquire new coping skills which you can apply in your life as well. You improved self-esteem. When you resolve your problem with the help of your support group it can boost your self-esteem. And with your new knowledge on new ways of coping – you feel much more confident facing various challenges in the future. There’s nothing better than knowing you’ve touched or even changed someone’s life with your words. So how does one build up their inner power to support others? It starts with first sharing and caring with others. Give to receive. Show your commitment, vulnerability, compassion and support. During your daily ‘power hour’ or ‘magical minutes’, take 2 minutes and hold a vision for your loved ones and for the group as a whole and visualize the overall performance and each person’s performance increasing with love, joy and peace. (Sounds like Christmas!). The more effort you put into supporting others the more you may personally experience a shift to higher values, greater commitment, and a more powerful attraction for yourself. This is the power of appreciating and giving gratitude. Manifestation is easier as we work from the higher realms of essence, qualities and goodness. So focus your aspiration, sensitivity, personality, selflessness, love, understanding and goodwill into the group. There are reasons group meditations are more powerful. It is called synergy. Intuition and group need and group soul attracts MORE concepts, ideas, love energy, and new, synergistic levels of consciousness. Make your groups more powerful as you hold the space and shared visions. Maintain a high integrity container for your relationships to grow in. Always hold the inner vision of love, compassion and harmony of the group. One of the most common group uses of intuition and intention is healing circles. Our healing abilities are a natural part of the way the Aborigines see themselves in the grand scheme of the universe. Connected at all times. Co-creators. Co-healers. It is an opportunity to attune to and work on collective shadows and values. It is an opportunity to get good feedback often. Embrace and carry a higher vision of yourself. Experience and integrate being a bigger part of the whole. Dive into a new level of mystery and awe through and for your group work. For best results, always start with a group meditation to elevate above the daily stuff. Then allow the individual souls to absorb into the one group soul. One of the strongest bonds is a common objective expressed in collective activities that serves fellow human beings. Want to add another level of accountability to yourself? Share a performance number (‘N’ out of 10, 10 being hi.) in one sentence. No excuses, comments or discussion are necessary. Just doing this helps you to commit more deeply to yourself. It gives you a new goal to surpass next week as you get better and better at the little things that make a big difference. And it gives others some feedback on how you are doing. Spend a few minutes each day and ATTUNE to the other, identify with the other, be the other and sense the need of the other. Identify and work on the collective needs and shadows of the group. Sense and share back a stronger magnetic, attracting force. As much as you can share spiritual, sympathetic and collaborative energies that support your group. Respect and appreciate the other — always. No judgment. No advice unless asked for. Hold them as able and to learn their own learning. A big part of group work is to use your voice and be heard – especially by yourself. Allow diversity — differing opinions are fine! We each do life differently. Support others in answering their own questions. 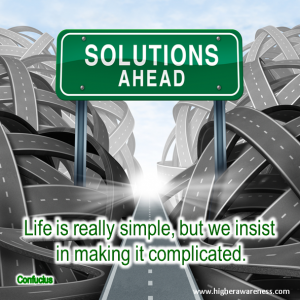 In some situations ask questions so both you and others get clarity about a topic, situation or request. As the old saying goes – no man is indeed an island. Although there are times when we need to isolate ourselves to recharge on our own, it’s still so much better if you have a support group where you can be open and share your highs and lows with. Support group is like your 2nd family – people who will not judge you no matter what ordeal you got yourself into. A support group are meant to be the opposite – they will do their very best in order to get you out of problems and help you to be the best version of yourself. Written by John Robson. He has 25 years experience with master minding, completed a 3 year Group Consciousness course, created a relationship program, and has been married for 45 years (2 different wives). John has led over 100 teams. His worst 2 years of non performance was without a master mind partner. John is presently creating new ways individuals, buddies and master mind circles can attain more results faster and with more joy and peace of mind. What I learned on my 6 month awareness retreat in nature. I AM BACK. Another thing off my Bucket List. I spent 6 of the last 8 months on retreat by myself in the wilderness. And sometimes it was crowded – Me, Myself and I – Ego, Personality and Soul – and trees, animals and the lake – all offering up new levels of awareness. I was writing 2 books – and one is on DIY (Do It Yourself) Retreat Process. Personal retreats at home, in a park, in a hotel room or ideally in a nature setting. Retreats that are 1 to 8 hours long or 1 to 7 days long. The book is about how to get the most relaxation, insights, answers and healing out of your own personalized retreat. And the best way for me to get clear about awareness shifts on a retreat was for me to immerse myself in a retreat setting for months at a time. Even though I was still working on and maintaining my web site, Higher Awareness – I do apologize for not putting more attention to staying connected with members and our readership. So now with more deeper insights, I have a clearer mission, messages and intentions, and a plan for 2018. Change and growth is hard work. – I reconfirmed again the power over us of our deep conditioning, robotic reactions and habitual behaviors. It was a reminder of how stuck we are in our old programming. Even though our ego and character feels so smart and even spiritual its control nature keeps us processing in our comfort zone. The invisible glass ceiling still limiting our responses and growth. So to break through the glass ceiling more often I would become the observer or watcher of how my thoughts and ego worked. I would meditate more and through an altered state could go beyond the glass ceiling. I would do more dialogs (a journaling tool) that helped me connect more deeply with my soul and even nature spirits. I confirmed again that the way we do one thing is the way we do everything. That we are a verb, not a noun. Mindsets and processes keep repeating themselves even in new surroundings and situations. For example, I wanted to relax and just do nothing, so I immediately wrote a list of 20 ways to DO nothing – back to one of my natural busyness responses. The ego abhors change so extra attention is needed to do new things or do new things differently. Relating is important. As a result of doing a life review and being in isolation I realized the absolute importance of meaningful relationships – of my need to speak, share, interact, discuss, love, have fun and relate. My wife, Patrice, and I developed a new level of connection and conversation when we talked once per day. At the end of my retreat I created a personal plan that involved more connections, group work, master minding, voicing my truth, sharing feelings and showing more compassion. Attunement Magic – This one of my favorite words now – ATTUNING. Often I would relax and ATTUNE (reflect, connect with, contemplate, become) to my purpose, vision, goals, nature, my body, important people in my life, intuition, etc.. As I did this daily or a few times per day, I would always get new perspectives, qualities, ideals and ideas that would offer up more insights and truth. The essence and evolving edge of my focus expanded. Intuition grew significantly. I would start asking better questions that offered up amazing answers. Every minute, hour and day is new and fresh offering deeper and higher insights.Another favorite word and task was embodiment. As I attuned to an essence and strong feelings, I would then anchor it, internalize it, own it, be that feeling. I would intensify it, expand it, and AMP it UP 10 and 100 times so I was so full it overflowed and then I would radiate it out to loved ones, members and the world. Patience and Soul Timing – I learned a lot about patience. About nature and soul timing. In my busyness I know I can be too attached to my ‘to do’ list and planning. Instead I would check in each day and often many times per day for my highest guidance. And often the message was to relax, enjoy, walk, breath, connect and love. This was perfect guidance to tame my perfection, workaholicism and seeking. I was in the wilderness during fall and winter when nature takes a break and regenerates. So my sense of any urgency mellowed out. I spent more time pondering life and nature and less time in work mode. Of letting go instead of my inner drive to letting in ‘new’ stuff. Of asking higher guidance what to do next instead of checking my list. It is amazing how, in hind site, I would often be doing the right things at the right time for the right reason. Inner guidance knows a lot more than my intelligent mind. Pursue your Purpose – I got solid confirmation that I am on my right path of creating my new ‘intuit and DO IT’ Awareness and Manifesting Program (I AMP). I worked on how the definition and level of awareness changes from senses to experiences to thoughts to feelings to imagination to healing to intuition to consciousness to bliss and to awareness manifesting itself (even before the awareness happened ). My purpose, vision and mission become quite clear and simple as I recommit to sharing truth and meaningful messages to millions. So it is great to be back in the city to connect with friends and attend a few meet ups. Fortunately I am a few blocks from our river valley so I can still be in nature and connect with its powerful essence. And I am back with a new level of commitment to my wife and business partner, and to my Higher Awareness business and new programming. I am excited to share more important messages and truths on how we can create the beautiful lives we are meant to live. I look forward to sharing on a more consistent basis in our blogs, messages, on Facebook and in the upgraded release of our new “Intuit and DO IT” Awareness and Manifesting Program (I AMP) – so you can AMP UP your commitment, inner power, awareness, compassion and your ability to manifest your dreams. New updates have recently been added to this new beta tested program and I invite you to join us and Know, Grow and Flow through life. Spring has sprung. Nature is thawing and ready to express itself more fully. And so am I. To an insightful and productive 2018. 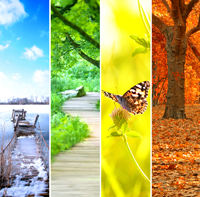 Have you re-aligned to the changing seasons? In the northern hemisphere we are approaching the winter solstice. The north pole hibernates in its 24 hours of darkness. To our readers in the southern hemisphere, who are now wrapped in the light of the summer solstice, please forgive the northern focus. Information on cycles applies equally to us all, just at different times. Spring Equinox – A time of renewal and “spring cleaning” that removes any negative and slower energy accumulated over the dark winter months and prepares us for the positive growing energy of spring and summer. A time to spring forward, risk and start new projects. It is a time of awakening and recommitting to life as spring brings in more energy and warmth. It ushers in a time of awakening and recommitting to life. It is a celebration of being resurrected from the dead of winter and being born again. Summer Solstice – Summer blesses us with light, expansion, fulfillment, holidays, growth and creativity. To honour summer’s approach, you might greet the early morning with yoga sun salutations and celebrate the bright evenings by dancing around a bonfire. Autumn Equinox – Fall marks the beginning of shorter days and longer nights. This is a time of harvest, community, celebration and thanksgiving. It is a time of completion, balance and realizing the abundance around us. As the sunlight retreats, we also retreat inside to rest, reflect on the past and future, and strengthen our spirits. Winter Solstice – Solstice derives from an ancient Latin word meaning “stop,” or “to stand still.” Winter Solstice is the longest night of the year and is a time of both anticipation and rejoicing at the Sun’s rebirth. This is a time of rejuvenation, reflection and healing. A time of integration as our consciousness expands due to the lessons we have learned. A time of anticipation of the increasing light and new experiences of a new cycle. Take full advantage of the energies of the season by allowing time for stillness, solitude, reflection and intuition. When have you booked time for stillness, reflection and year-end review? My 11 main messages to mankind. 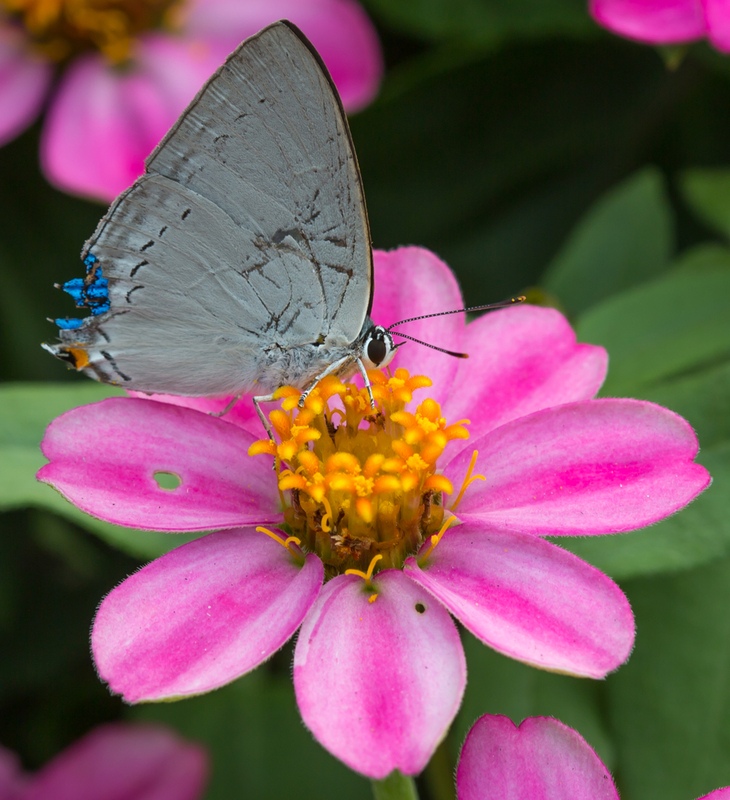 Resolve to Evolve – Make a sincere commitment to heal and grow and be who you were meant to be. Align with Universal Laws – Understand how life works and life unfolds much easier. Better to align with and go with the flow instead of unconsciously going against it. Develop Daily Discipline – Daily enhance your health, clarity, compassion, connections and calling. Have a sacred space or time to pursue your personal practices. Dare to be Aware – Be conscious of what is happening around and in you. Develop Higher Awareness. Stop more often and pay attention. Be an observer and watch how you respond to life’s daily triggers. 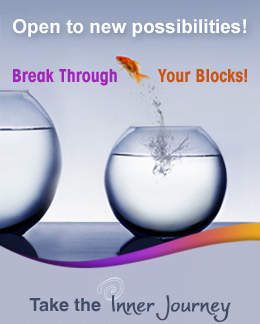 Reveal and Heal – Identify and clear the 100’s of blocks and limiting beliefs you have. No wonder life does not unfold as you desire. Know your Challenges, Character and Calling (soul) – They are all interconnected. Identify and resolve your main life lesson. Clear your limitations and build character so you can more easily respond to your higher calling. Think It and Ink It – Just Journal. If it is in sight, it is in mind. Draw out your pains and wisdom so you can see them and respond to them. Do different things. Do things differently – Break robotic patterns. Create an inner, more expansive web of experiences and perspectives. Ask! Ask ! Ask! and Listen and Act. – intuit and DO IT! Guidance, intuition and answers are always available. Master asking, listening and appropriately responding. Pursue Passion, Potentials and Purpose – You are here for a reason. Find it and live it and make your life magical! What are your core messages to humanity? I just returned from my yearly relaxing, writing, pondering retreat in the mountains of British Columbia, Canada. I get my best rejuvenation and greatest insights when I’m surrounded by nature and immersed in its authentic being and beauty. Consider the many lessons we can learn from a flower. A flower is truly present and centered in its being. From its origin as a seed, it allows the life force to move through it to unfold its natural blueprint. A flower trusts it will be provided for, that it will receive the temperatures, air, water, sunshine and nutrition it needs to grow. Then it does its best with what it is given. It may be a rainy or dry season, or it may encounter physical damage from animals or humans or bad soil. Without complaint, the flower follows its destiny. The stronger the wind, the stronger the stem. A flower doesn’t force the growth process. 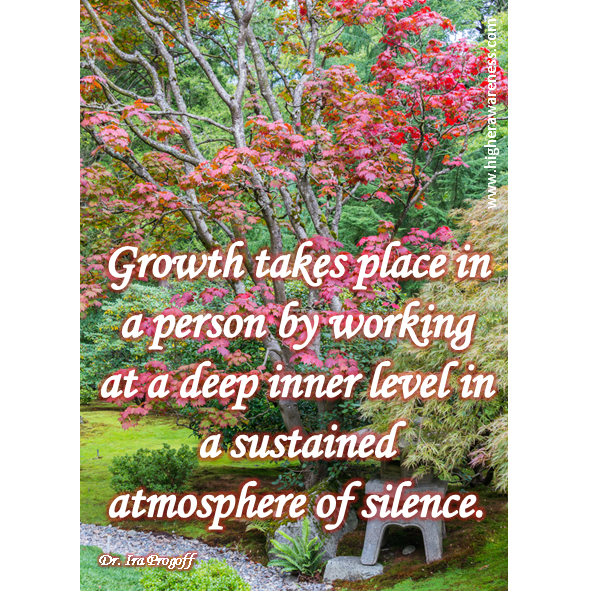 It accepts the pace of germinating, sprouting, developing, budding and flowering. It allows time to reveal its beauty. Nor does it resist the inevitable disintegration that completes the cycle. A flower lives in the NOW. It has no concern for the past or future. And finally – and this was so powerful for me — a flower doesn’t question or agonize about what it is. If it is a rose, it doesn’t wish it were a daisy. It does not judge other flowers or its host plant or you and me the observers. It minds its own business, content to participate in its own self-expression and radiate its unique and incredible beauty. Of course, human life is much more complex than that of a flower. But does it have to be as complex as we make it? May we choose to adopt the rhythm and acceptance of nature?